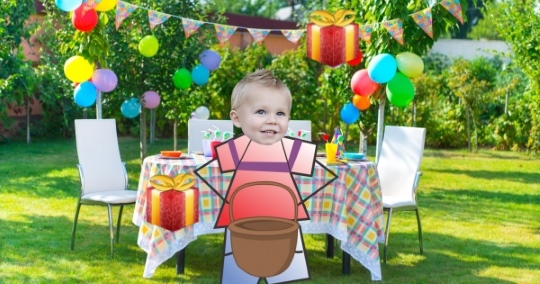 Your child's birthday is coming up? Give him this game in which he is the hero! The game principle is very simple: you have to catch all the gifts falling from the top of the screen. But beware of the bombs! You will lose the game if one of those lands in the basket. The difficulty increases gradually... so try to get the highest score! After customization, your child's face will appear in the game, as well as his first name on the title screen. Order the game "Happy birthday!"